The Faith Formation Office has begun a new partnership with the Catherine of Siena Institute to offer workshops designed to build up faith and practice in Catholics as part of the new evangelization. 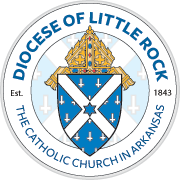 These workshop are being offered from September 2018 through April 2019 across the Diocese of Little Rock. Called and Gifted workshops aim to help adult Catholics discover their own charisms. The curriculum focuses on building a foundation for participants to discern their charisms and how they can be used in God’s plan for their life. Learn more. A charism is a gift from God to help share his mission. It is different from a natural talent that could be used selfishly. A charism is directly tied to God’s mission for you and bears fruit only because of the Holy Spirit working through you. To discover your charism is to discover what will energize your service in the Church and in the world and bear fruit according to God’s designs. These workshops are being offered in English and Spanish. Pre-registration is required. Costs, dates, locations and method for registration varies. Visit our calendar and click on a workshop in your area for specific details. To learn more, contact Jasmine Hogan in the Office of Faith Formation at (501) 664-0340, ext. 323. Share Jesus' story in response to the spiritual hunger of another. Ananias workshops will be offered in English only. Pre-registration is required. Visit our calendar to see dates and locations to register. To learn more, read Arkansas Catholic or contact Jasmine Hogan in the Office of Faith Formation at (501) 664-0340, ext. 323.